If you are pregnant and planning your babymoon, here are five tips to ensure your vacation is smooth sailing. Make this trip one to remember by following these easy tips. Ahh the babymoon. Let’s talk about it!! It wasn’t too long after we got married that my husband and I learned we were expecting. We were so over the moon and excited to bring another precious life into this world, but not long after did it hit us that it put a damper on our honeymoon plans. Given that it was a busy time of year for us with work, we had decided to postpone our honeymoon plans for a few months. Then as my pregnancy progressed, our vision on that front changed too. You can ask my husband- I was a complete nag on this issue. I. Wanted. A. Honeymoon. It was non-negotiable. We were about to have our hands full, and this was our chance. Except not really. My vision for our honeymoon entailed possibly a long flight overseas, or maybe cocktails and jet skiing along the beach (not together, of course). Basically a bunch of activities that were neither conducive for my physical state, or even an appealing option anymore. Then it hit me- the babymoon is the most brilliant concept to be created since Saltines. It was an opportunity to escape the bitter winter we were having in New York, and just go somewhere and relax. I knew I wanted to be somewhere warm, not too far away, someplace where the food was good and the mocktails sweet- basically, I wanted my very own pregnancy paradise, where my husband and I could get in one last hurrah before the baby nipped our vacations in the bud for a few years. 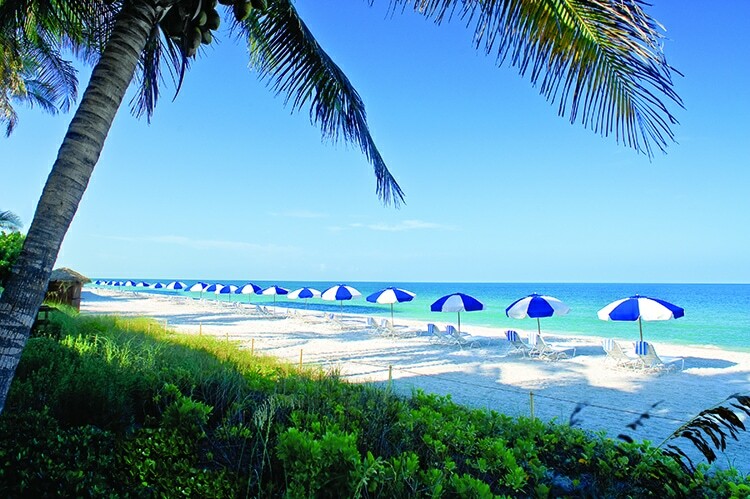 We found all of this and more in Naples, Florida at La Playa Beach and Golf Resort. 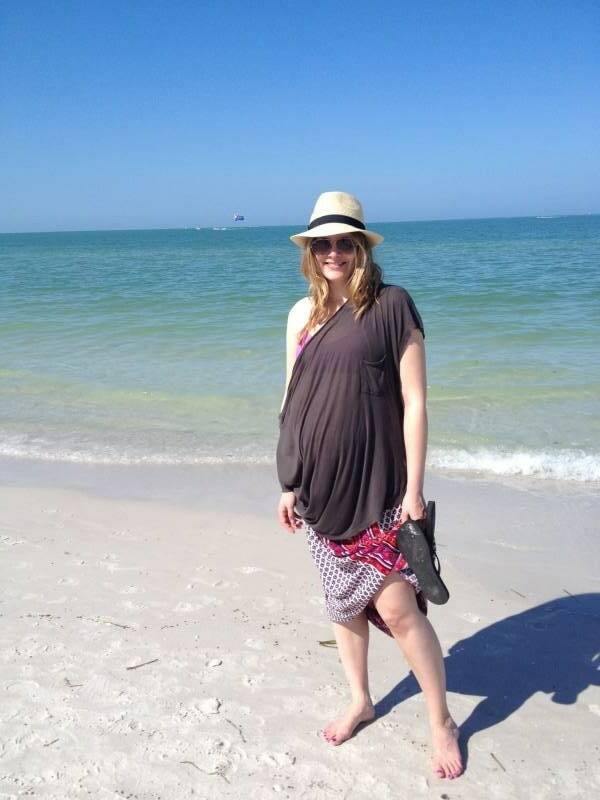 An understated yet luxurious property along the Gulf coast, we stayed in a beachfront suite that made me delightfully cozy in all of my 8 months pregnant glory. After all the morning sickness, heartburn, lower backaches, and episodes of crying in The Gap dressing room, where finding pants became a personal hell for me- we spent the weekend doing exactly what each of us desperately needed- absolutely nothing. 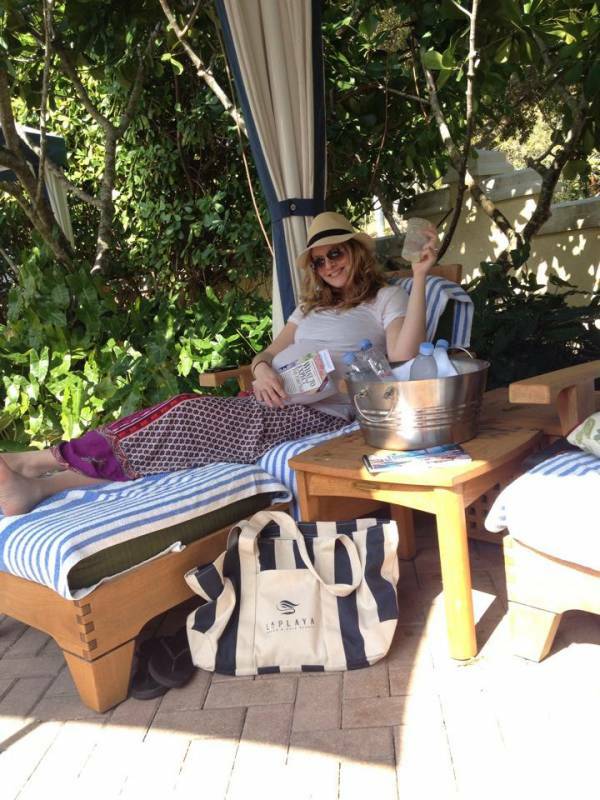 I brought along my straw hat, my baby books, and reclined the weekend away. When I wasn’t taking advantage of the amazing poolside cabanas with virgin pina coladas and finger foods, we were walking the beautiful sandy beaches (a beautiful bonus at La Playa Beach & Golf Resort is their private beach, so it never feels crowded), or taking a dip in the pool where I felt weightless- a far cry from anything I’d been feeling in a while. We’d dined at Baleen, the on-site restaurant at La Playa, for most of the weekend, as there was so much amazing cuisine to indulge in, we couldn’t get enough. 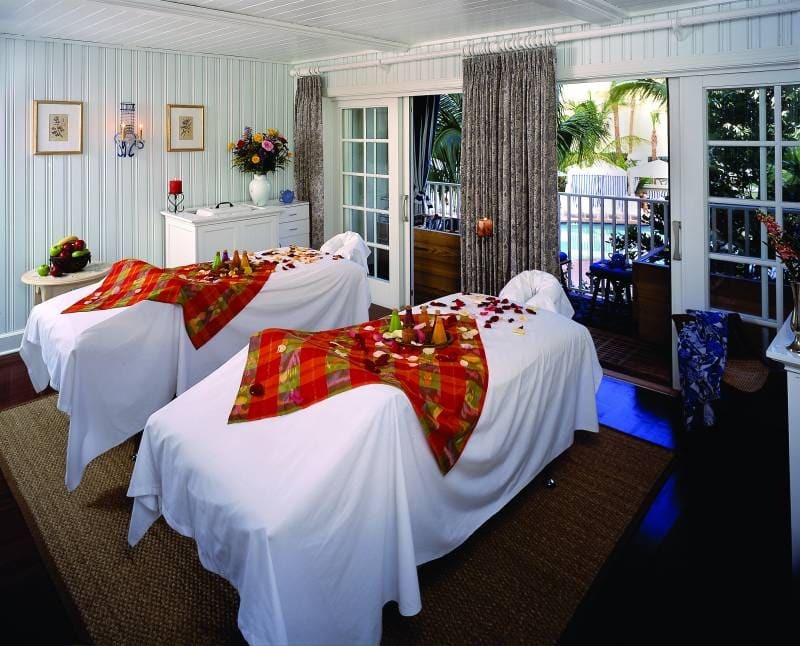 Another special treat: the Mommy-To-Be massage- that made me feel like I was in heaven. I’m a person that loves massages, but I found it so difficult to get one that was satisfactory while sporting a big belly. I loved that the tables at the SpaTerre could accommodate my pregnant form, so that I could still have my head down, rather than being forced to lie on my side (it’s just not the same). Go somewhere warm and beautiful, that isn’t too far away. Having been there a billion times before to visit my grandparents, I never thought I would enjoy Florida so much, and so uniquely. However, I’d never before been to Naples or along the Gulf coast, which is absolutely magnificent. It was also a very quick and convenient flight down to Ft. Myers from NYC. When you’re super pregnant, the last thing you want is to travel a long time—you just want to get to paradise as soon as humanly possible. I wasn’t in the mood for flight transfers or customs lines. 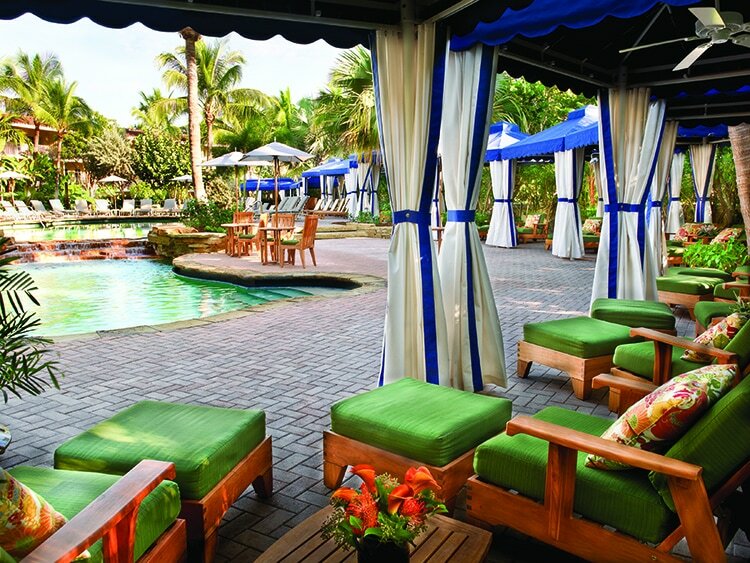 This made La Playa Beach & Golf Resort a perfect choice for our babymoon. 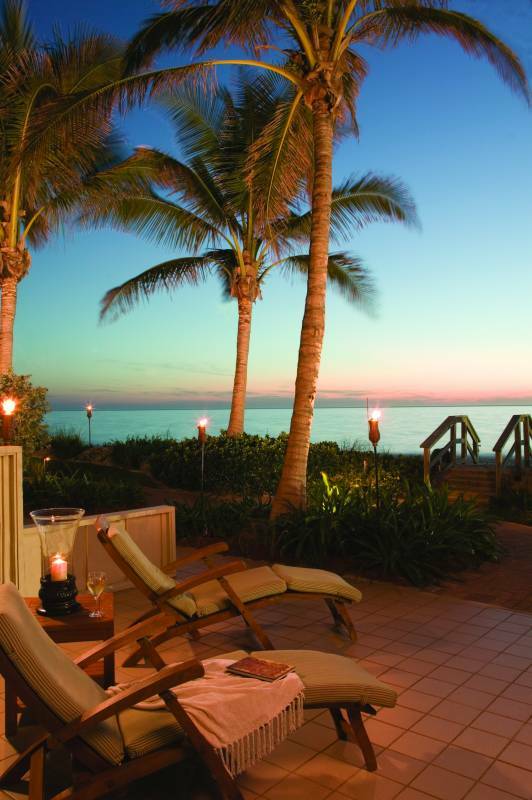 Indulge in fine cuisine and virgin cocktails on your babymoon. When I was pregnant, everyone told me, “Eat whatever you want! Enjoy this time!” but I was so worried about the aftermath of eating too much junk. I certainly did not deprive myself- I became hungrier than ever, and I wasn’t short of weight gain, but I also kept an awareness of what I was eating. I tried hard to avoid unnecessarily sugary foods, or eating in excess of what I really needed. On our babymoon, this all went out the window. I wanted to eat and enjoy everything. I wasn’t about to feel guilty for all the fries I ordinarily would think twice about. 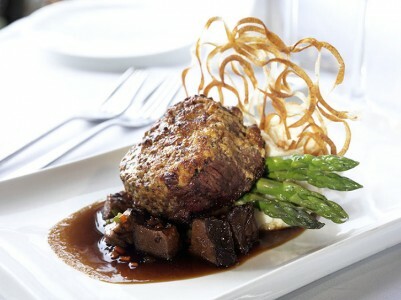 At Baleen, I ate filet mignon with a different sauce every night. I devoured lobster mac and cheese like it was my job. I didn’t hesitate to order another pina colada at my private cabana. I enjoyed myself, and I saw nothing wrong with being pampered while on vacation. With all the foods and beverages one should avoid in pregnancy, I was happy to make up for it in other ways. I’m a firm believer in allowing yourself to go a little nuts, in moderation. Before you leave, get a travel clearance letter from your physician. Depending upon how far into your pregnancy you’re traveling, it might be a good idea to get a letter from your doctor clearing you for travel, or bringing along documentation that shows your due date. Each airline has a different policy, but none of them want you to go into labor mid-flight. The rule of thumb is not to travel after 36 weeks. If an airline suspects you’re nearing that point, even if you’re not, they may ask to see documentation before you board. Avoid the hassle altogether, and have a letter just in case. I brought one, and didn’t end up needing it, but better safe than sorry. It’s also a good idea to go on the babymoon prior to the travel deadline. You never know what can happen- I had a perfectly healthy pregnancy, and my daughter made an early arrival (4 weeks early!). I was thrilled that we got in our babymoon before it was too late, because we had the greatest time!